Published: June 19, 2012 at 05:31 p.m. Updated: June 19, 2012 at 07:18 p.m. If you take strict salaries, the latest Forbes Magazine list of the world's top 100 highest-paid athletes would contain more than 30 NFL names. But what makes this list interesting is that Forbes includes endorsement money, placing athletes with more international appeal higher. The top 10 includes: 1. Floyd Mayweather ($85M), 2. Manny Pacquiao ($62M), 3. Tiger Woods ($59.4M), 4. LeBron James ($53M), 5. Roger Federer ($52.7M), 6. Kobe Bryant ($52.3M), 7. Phil Mickelson ($47.8M), 8. David Beckham ($46M), 9. Cristiano Ronaldo ($42.5M), 10. 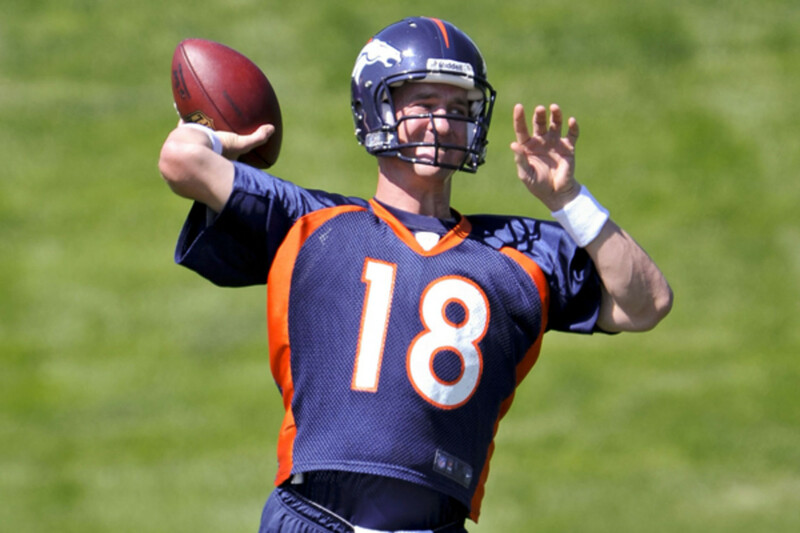 Peyton Manning ($42.4M). Here's a look at all 30 NFL players to make the list.